A mutual fund is an investment tool that uses money from the investors to invest in different securities and markets to gain profits. 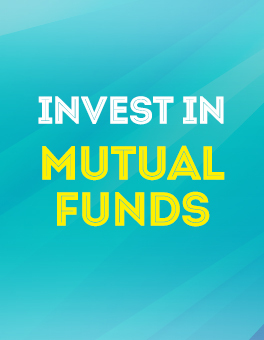 Investors can choose a mutual fund scheme and invest as per their financial goals. In simple words, a mutual fund is a pool of money of multiple investors and is managed by a fund manager to earn the highest possible returns. One should start investing in Mutual funds at early stages of their lives to benefit from the power of compounding. Expert management: As an investor, you may not know where or how to invest but a mutual Fund Company hires expert to manage the pool of money. Easy liquidity: You can redeem your invested money anytime as mutual funds are highly liquid. Low cost: You have an option to start with less amount if you don’t wish to make a large investment. SIP option: If you don’t wish to make an investment in one go, you can invest a small amount on monthly basis, this sums up SIP. It is called systematic investment plans. Flexibility in tenure: Most of the mutual funds do not have a time constraint apart from ELSS tax saving funds which need minimum lock-in period of 3 years. Easy to track: These days, many mutual fund transactions happen online where you can track your money on daily basis. Due to the technical advancement, you can easily invest in mutual funds online. There are three ways to do this. You can approach professional agents, who will help you with the application, redemption, and transaction and so on. They charge some amount of commission for their services. 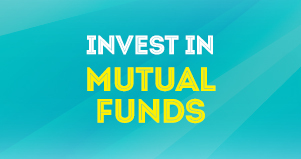 Or you can invest your money in mutual funds online with the available online portals. This saves your time and efforts. You can also compare with the other funds online. In the case of financial emergencies, it is better not to touch these investments and let them grow in peace. If you fall short of money to pay for your monthly mutual fund investment, you can go for personal loan app. The application process is paperless when it comes to instant loan app. The entire process takes just 15 to 20 minutes. You don’t have to visit any bank or branch, the personal loan app gives loan directly via bank transfer. The loan amount offered by such instant loan app ranges from ₹10,000 to ₹1 to 2 lakhs. The duration can be 15, 30, 60, 90, 180 or 360 days. CASHe is one of the personal loan apps available in India which offers quick loan to its users.